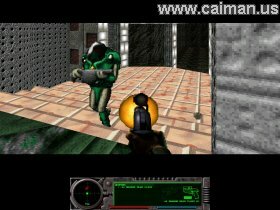 Caiman free games: Aleph One: Marathon 2 by Christian Bauer and many others. The sequel to The Original Marathon! Like the first it has online multiplayer. Including: Kill the man with the ball, Every man for himself, Co-op, and much more. this game also still includes dual weilding, and second fire. 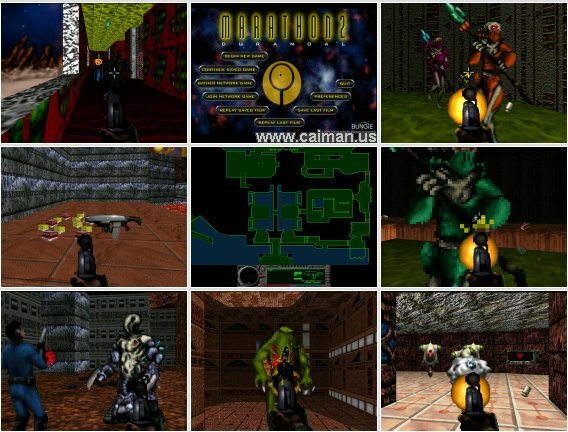 Aleph One is an Open Source 3D first-person shooter game, based on the game Marathon 2 by Bungie Software. It is set in a Sci-Fi universe dominated by deviant computer AIs and features a well thought-out plot. Luckily they are redefinable. Personally I didn't like the default settings (num keys 4,8,6 = move, space = fire). So I switched the mouse on and set the right mouse button as move forwards and the left mouse button as fire.